The work of Ugolini was interrupted by his sudden death that occurred just before the publication of the series of volumes (‘Malta Antica’) which he had planned. 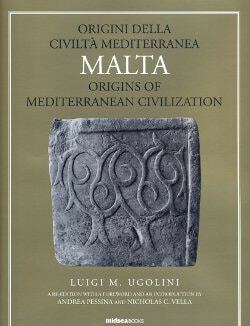 The main theories of the Italian archaeologist were put forth in 1934 in the volume Malta. Origine della civiltà mediterranea. The monograph represents a seminal part of Ugolini’s archaeological thought and is a necessary premise to the final publication of his precious archive. Held in Rome at the Museo Nazionale Preistorico Etnografico ‘Luigi Pigorini’, the archive has been re-discovered thanks to a collaborative Italo-Maltese project.